Who should apply to join the IAB SA? The IAB SA currently represents more than 200 members, including online publishers, creative, media and digital agencies, brands and educators, between them accounting for more than 50-million local unique browsers and more than 1-billion page impressions. The IAB SA strives to provide its members with a platform through which they can engage, interact and address digital issues of common interest, thereby stimulating learning and commerce within the South African digital space. Anyone who has a strong sense of driving digital forward is welcome to apply. 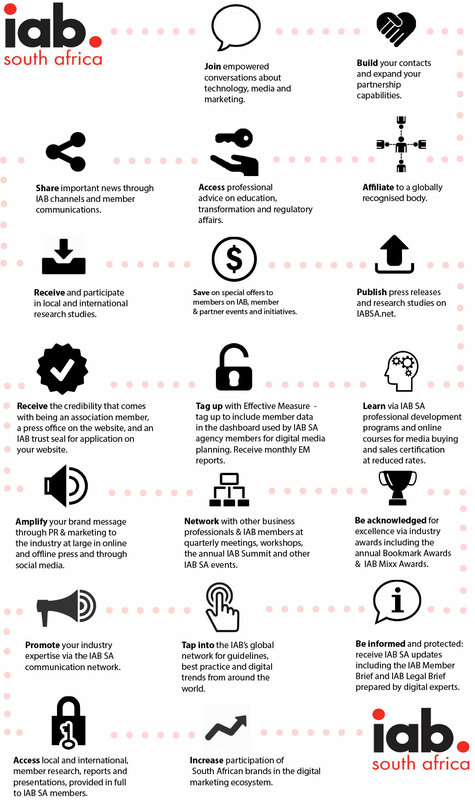 Membership of the IAB will help ensure your knowledge of everything digital. Not only will you be the first to hear about new digital trends, knowledge, and research, but you’ll have the opportunity to sit at the table with digital industry thought leaders and have your voice heard to steer conversations around standards, guidelines, and best practices. Membership will also introduce you to partners, clients, and experts who can provide advice, insight, and potential new business. These connections can be made at any of our numerous networking events hosted across the country. Additionally, IAB advocates for the digital industry and fights against adverse government regulation for your business interests through our Regulation council. We strive to keep our members informed about important policy-related events through participation in the Regulation Council and by developing timely issue briefs and legal analysis of key proposals. 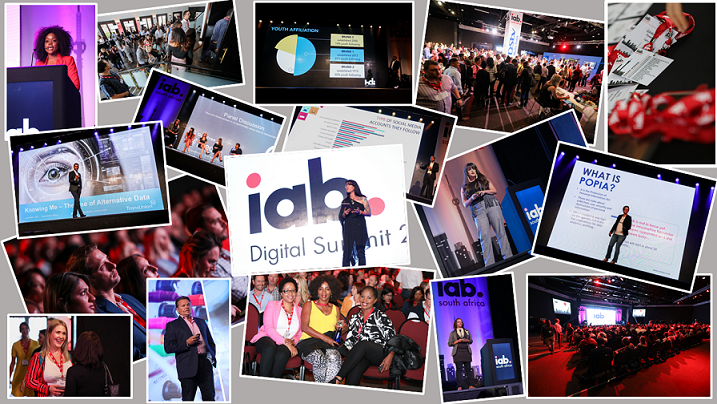 Representing over 160 leading media and marketing companies, linking today’s best practices with tomorrow’s breakthrough channels and marketplaces, the Interactive Advertising Bureau – IAB - is at the centre of the digital media universe. Be the first to know. Subscribe to our Newsletters to receive news about the IAB programs, standards, events, classes, and more!